Who really cares about trees? According to Nature.org in the Asia Pacific Forestry Week, which took place in November 7-11 in Beijing, about 1,000 people, from 50 countries, exchanged recent developments in all aspects of forest policy and practice. People should protect the trees because whether we like it ,or not we depend on trees more than we think. Pollution is decreasing the existence of many animals and plants. Nature.org states, "Although they once covered some 90 million acres across the southeast, our magnificent longleaf pine forests have been reduced to just 3 percent of that acreage today." According to Rainforest-alliance.org, "The world has changed so much in a short period of time... so much has been destroyed already... its scary what might happen to the world." Many animals and plant are dieing because of pollution. The air must be cleaner, for people's health today and in the future. Nrdc.org says, "Clear cutting removes forest carbon sinks, leading to global warming." According to rainforest-alliance.org, "Management of the environment and resources will keep future generations." Saving trees saves humanity's supply. Some people may argue that we need more paper, trees grow, and aren't the only plants. Although some people think that we need more paper, trees aren't the only plants, and they grow some understand that we can recycle our paper, and pollution is killing so many plants around the world. According to a poll Rainforest-alliance.org 74% of the people who answered think that we associate sustain ability with the environment. Change.nature.org says, "But in the environment context, green really means one thing: forests. 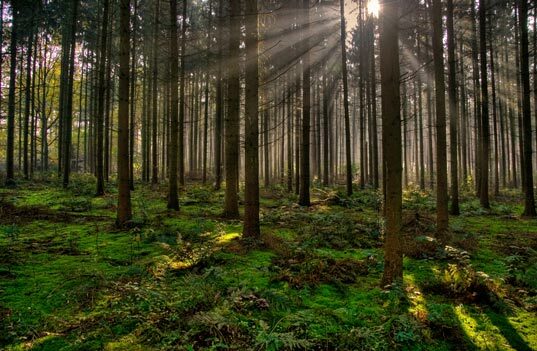 Forests have come to stand as a near-universal symbol for nature and the environment movement." Trees definitely should be protected because trees are important to us more than we know. After all who needs them? What do you care about more money or your own life? Without trees we're dead, plants have been here before us and deserve to live longer. We absolutely need to sign a petition, write a letter to the government, even start a protest. Stand up for your life! I like your editorial and I agree with you we should stop cutting trees!